This fully lined leather slip in glasses case is my original design, lined with waterproof nylon. I only have a few of these cases left, and since I recently began lining my glasses cases with silk instead of nylon, I decided to clear out these older models. 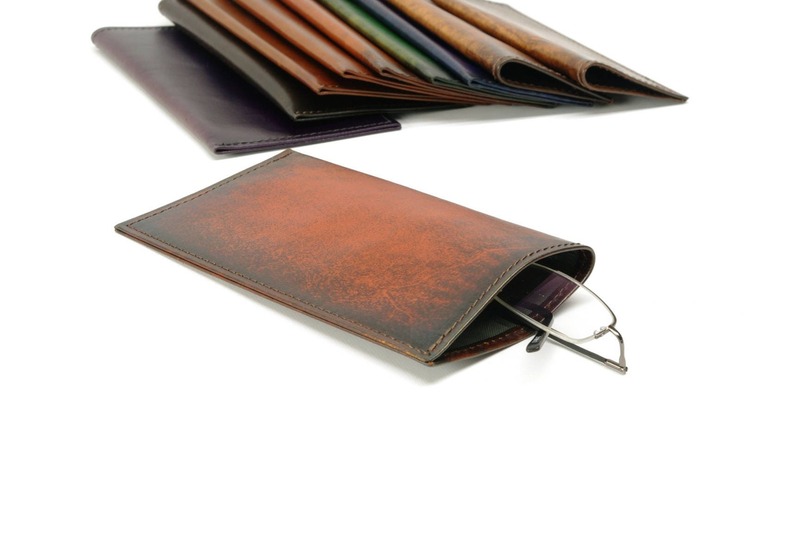 This simple slip-in leather glasses case works well in your shirt pocket, in your bag or on your desk to keep your glasses protected when they are not comfortably at home on your face!